DCL HomeWorks was started in 2003, and has been serving Deep Creek Lake, MD home owners for over 10 years. Our goal was to provide lake home owners with an umbrella of protection, placing their home under professional care. Since 2003 DCL HomeWorks has evolved to be much more; a one stop resource for lake home owners, that encompasses a wide variety of property management and concierge services. We provide home management ranging from monthly property checks, to large scale remodeling and new construction projects, with everything in between. We employ of a team of skilled and versatile carpenters and extend our services by utilizing a network of approved, licensed and insured contractors. Working with this network, nearly any imaginable property management need can be filled, and all projects are managed by HomeWorks, with updates being provided by phone, email; including digital pictures, and interactive panoramic video, making you a integral part of the renovation or management process. HomeWorks also serves as your advocate, working closely with sub-contractors to negotiate a fair price, and making sure the work completed meets all your expectations and conforms to existing state and local codes. We employ the latest technology, and are in compliance with local, state, and national codes. We have a working relationship with Garrett County Planning and Zoning, the Garrett County Health Department and Garrett County Land Development, allowing us to acquire all the needed permits to renovate or expand your current home. As regulations regarding the use of the Deep Creek Lake watershed and buffer zone change, we maintain a close relationship with the Deep Creek Lake Management office, assisting in understanding the specific requirements for developing and altering this sensitive watershed. Understanding local, state, and national codes is a difficult process, as laws and regulations change often. We keep up with the codes, so you don’t have to. HomeWorks has experience in green building and LEED certification, and was a project management contractor for Eco-tourism retreat Blue Moon Rising. Instead of spending your time at the lake managing your property, or rifling through a list of chores, make one phone call to DCL HomeWorks, and we will handle the rest. Chuck is a native of the Deep Creek Lake area and has a lifelong background in new home construction, renovation and property management. 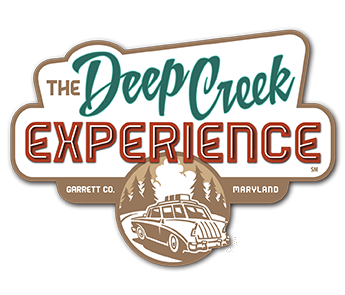 In addition to owning DCL HomeWorks, he is an alpine ski and race coach on the Deep Creek Winter Sports team (DCWST). An avid fishermen, snow skier and lifetime marine and fresh-waterman, Chuck enjoys many of the activities that make Deep Creek Lake such a popular vacation destination. In 2012, Chuck was awarded Deep Creek Winter Sports team’s Coach of the Year award. He also serves on DCWST’s board of directors. Chuck carries a Maryland Home Improvement Commission salesman and contractor license, and both he and DCL HomeWorks LLC are registered with the Maryland Home Builders Registry. Jeremy Gosnell is also a lifelong native of the Deep Creek Lake area. He has a background in scuba dive instruction, real estate sales, computer programming, creative and technical writing. In addition to serving as DCL HomeWorks’ office administrator, he is a writer for Tropical Fish Hobbyist Magazine and the author of novels Neptune’s Garden and The Terminal. Jeremy is a snow skier and PADI, (Professional Association of Dive Instructors) certified dive master and science instructor. Jeremy’s background in computer programming and technology aids home owners in the set-up and maintenance of home networks, theaters and complete home automation. Also he is a Green Home Institute certified sustainable hardwood consultant for home re-modeling and construction, and Hanelywood University certified Exterior Design, Propane Enhanced Renewable Energy, Heating oil conversion to alternative energy and water heating efficiency contractor. Also, both Jeremy and DCL HomeWorks LLC. are satellite members of the National Association of the Remodeling Industry (NARI). He is also an avid drone and RC helicopter pilot. Our contractor network contains over 125 licensed and insured contractors, that serve the Deep Creek Lake area of Western, Maryland. We extend our reach beyond the local area, including contractors who specialize in network technologies, communication, home security system installation and maintenance, as well as home theater installation. In accordance with state and federal law, DCL HomeWorks LLC. complies with, and supports all equal housing opportunity laws, and fair housing regulations. For more information, please visit the U.S. Department of Housing and Urban Development.